With Chargebee’s GAAP-compliant Revenue Recognition and Reporting, addressing complexities in accounting and finance for businesses of all shapes and sizes has never been easier. What happens when an annual subscription gets cancelled 2 months into the cycle? Chargebee’s Revenue recognition tackles every possible recurring billing scenario, gracefully and automatically. 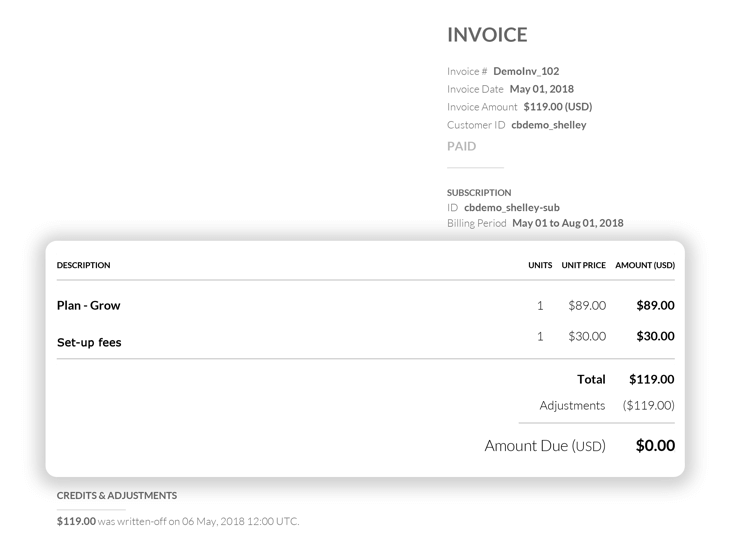 For subscription boxes, Chargebee lets you decouple your billing and shipping frequency. Whatever your shipping cycle is, Chargebee has a billing solution. Chargebee uncomplicates revenue recognition by using your billing platform as the source. With Chargebee’s ability to solve multiple complex billing use-cases, you get an accurate, flexible, and comprehensive, customizable revenue reporting for your organisation. You get seamless recurring payment management along with revenue reporting. What if a customer upgrades or cancels mid-period? Chargebee’s Deferred Revenue Recognition module does a day-based revenue calculation. The balance amount to be recognized each month and the deferred revenue is calculated automatically. You get a periodic and comprehensive deferred revenue reporting for all plans, products, and currencies. Revenue recognition by Chargebee is GAAP-compliant and addresses complexities in accounting and finance for businesses of all shapes and sizes. You can automatically generate comprehensive, accurate, and compliant revenue reports from Chargebee at any time. 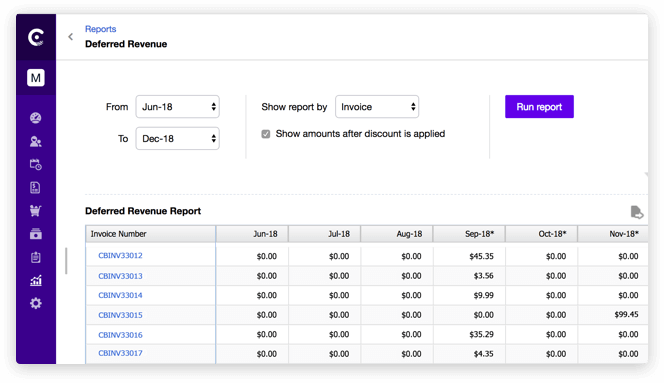 With Chargebee’s Revenue Recognition, you get a generatable report for each currency that your business handles. 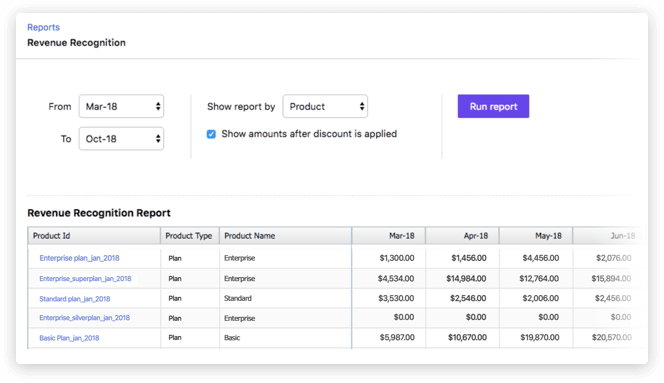 You also get account summary reports, which is a one-stop-shop for tracking and summarizing everything from your payments to write-offs, and makes accounting easier.